We are the most professional and friendliest Bloomington stove repair business around. And we’re just a phone call away from providing anyone in need with a stove repair in Bloomington MN. No stove repair is too tough. 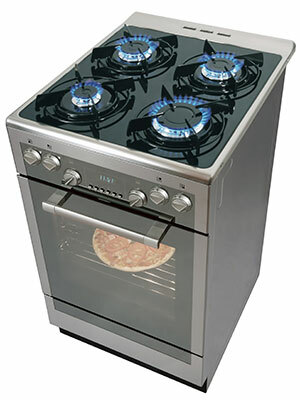 We are the answer for anyone needing a stove repair in Bloomington MN. We follow the Major Appliance Service National Price Guide for repair estimates. We bill what we pay for stove parts. We also try to get you the best rate on stove parts in Bloomington MN. Our pre-stocked truck includes some common stove parts, so we may even be able to complete the stove repair without visiting a distributor. Are you having trouble with getting one of your surface elements to work? This could actually be due to issues with the receptacle for this element. There’s a receptacle, that’s similar to a terminal block, to which the surface element connects. The terminals can eventually suffer from poor connection and overheating. You can examine the contacts within the element receptacle by shining a flashlight onto them. Usually, it’s easy enough to tell if any of the terminals are burnt out. If so, the entire receptacle will need to be replaced. The element may need to be replaced as well.